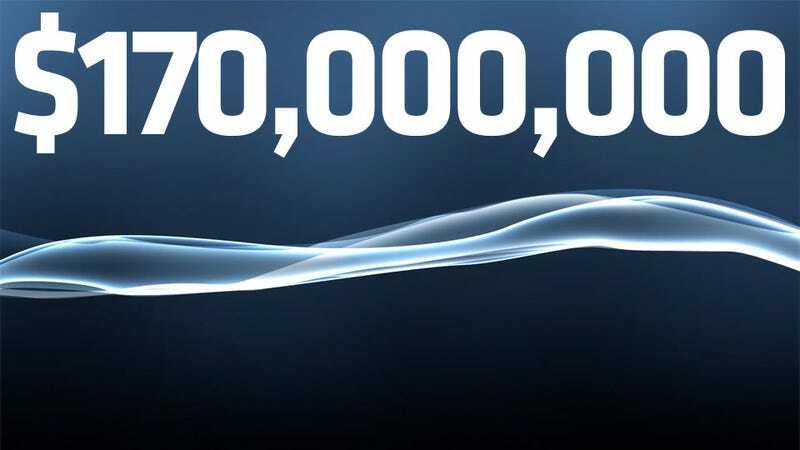 Finally putting some kind of official estimate on the damage caused by last month's attack on the PlayStation Network, Sony has pegged the total cost to be around USD$170 million. "Based on information currently available to Sony, our currently known costs associated with the unauthorized network access are estimated to be approximately 14 billion yen in the fiscal year ending March 31, 2012," Sony said today in an official earnings forecast statement. As it stands at time of posting, that's exactly USD$171,203,043. There's no detailed breakdown of just how those costs are spread out - how much is down to estimates on the loss of business, direct costs of fixing stuff, etc - but hey, it all contributes to the same bottom line. And that's one painful bottom line. Note that that while official, these are still estimates; a final figure on the total cost probably won't be known for some time.